It's officially the time of year for sundresses, miniskirts, and cutoffs, and with it comes the license to show off those legs. If there's one thing that can get in the way of donning the shortest of short shorts this season, it's potentially feeling self-consciousness about our legs. After all, our legs hold us up, propel us forward, and often undergo some minor damage in the process. Maybe there's a cut or bruise you want to cover, a case of uneven skin tone, or the inevitable bug bites that pop up after the obligatory summer camping trip. Luckily, there's a very simple solution: leg makeup. Some takes on this body makeup product resemble bronzers, while others are applied as a foundation or concealer—it all depends on what your areas of concern are. Read on as we scope out 12 of our favorite leg-makeup products that serve to satisfy your every need, whether you're looking for light coverage, a subtle glow, or something more heavy-duty. There aren't enough good things to say about St. Tropez's bronzing mist, which you can use on any area of your body. 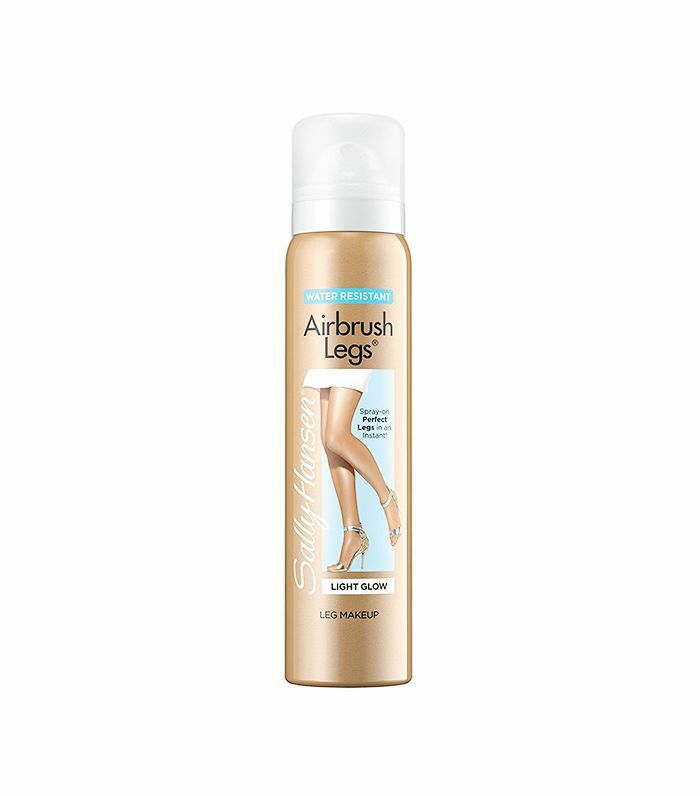 If discoloration is one of your concerns, this light mist provides coverage while lending your legs a bronzed sheen. This is a simple apply-and-go product—its mist application makes it a snap to throw on while running out the door, blending easily and drying in a pinch. When the day is done, simply wash it off with a little soap and water. Conceal imperfections and even out skin tone with a dollop of this glow gel. The product's formula also contains a hint of caffeine and green tea that smoothes out the appearance of cellulite. This gel dries in three to five minutes and washes away with soap and water. Don't be afraid to sweep it along your arms and décolletage for allover color. The brand also carries a body contour stick ($21) that can be used alone or with the gel to bring some further definition to your stems. If you're looking to conceal rather than add color, this product may be more your speed. This product provides heavier coverage from what you'd see with a bronzer, making it a good pick for covering stretch marks, veins, and scarring. 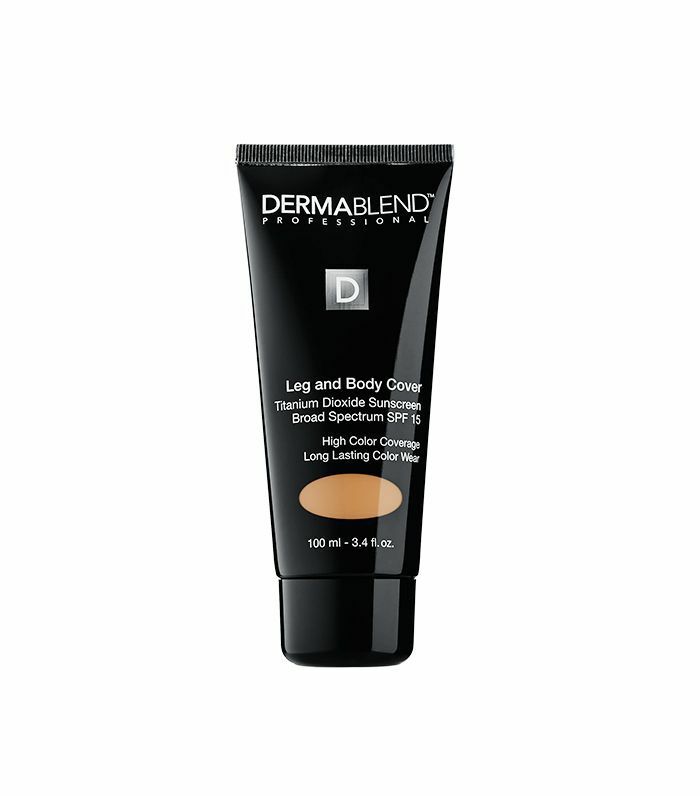 What's great about the Dermablend line is that it comes in a range of shades to accommodate a variety of skin tones. Although the coverage here is heavier, it never looks caked on or smudges unexpectedly. If you're already familiar with leg makeup, then you're probably aware of Sally Hansen's cult-favorite Airbrush Legs. The many positive reviews on Amazon alone let the product speak for itself. Users like Alyssa write, "I tried using my face concealer to hide splotches, but it took too long and it was the wrong color anyway. This was so much quicker. Spray on your hand and rub in like lotion to give even color all over, then lightly mist directly on problem areas and let dry. Virtually no transfer to my shorts, and I relaxed in the pool with it staying on." Particularly with its exceptional price tag, this leg makeup is more than worth a try. This bronzing mist by Guerlain works for both the face and body and is ideal if you're looking for very subtle color and natural-looking coverage. Think of it as the finishing touch to sun-kissed legs. Super blendable, its spray-on application gives an airbrushed appearance, also making it an apt finishing spray to top off your makeup. For a natural touch of bronze that never looks cakey or orange, this is the product for you. When it comes to brands we trust for all things coverage, MAC ranks very, very high. Of course, it didn't let us down in our hunt for the best leg makeup. 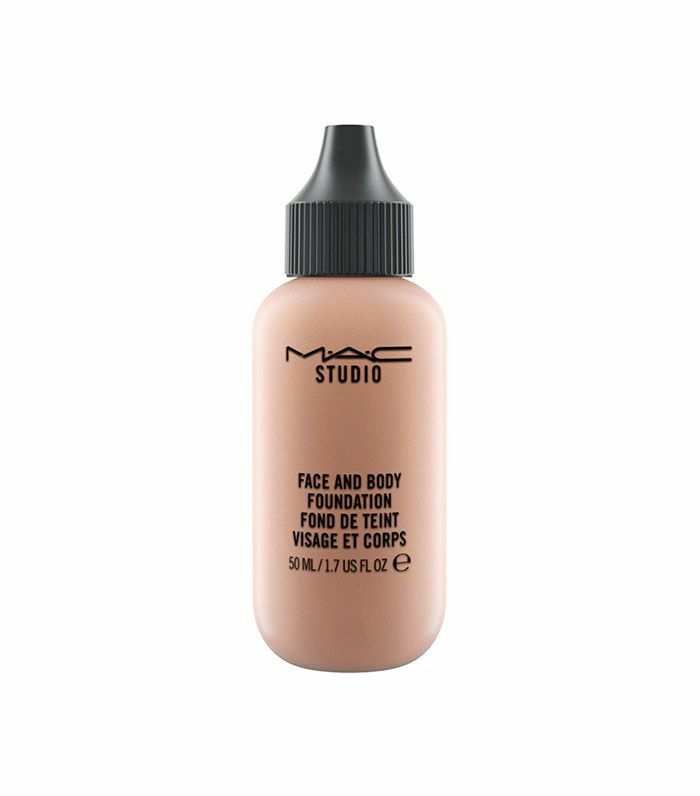 This foundation is lightweight and buildable, gliding on seamlessly while providing medium coverage. User Zipfel writes on Nordstrom's site, "I have had a love affair with this foundation for over 11 years now! I have strayed from time to time to try new products and formulas, however I always come back to MAC Face and Body! It is so light and liquid-like, that you don't expect it to provide such wonderful, yet natural coverage." Contour legs and add a subtle shine with this highlighter for legs by This Works. The unique roll-on application lets you add a buildable, subtle glow while ingredients like hyaluronic acid and algae extract tighten and smooth skin. To add coverage, try the brand's Perfect Legs Skin Miracle ($68) for a touch of color that will even out skin tone and cover blemishes. A self-tanner for the face and body, this bronzing mist lends lightweight coverage with a nozzle application for an airbrushed finish. The bronzing mist contains aloe vera and citric acid to even out skin tone while providing moisture that is particularly suitable for dry skin types. 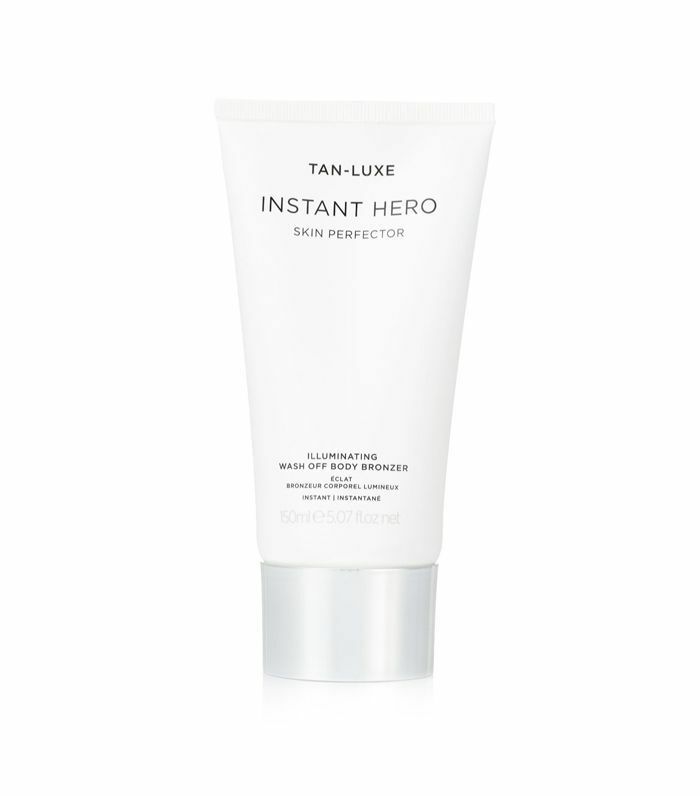 What's especially unique about this product is that while it adds instant color, it continues to develop over a three- to five-hour window, providing a longer lasting tan. 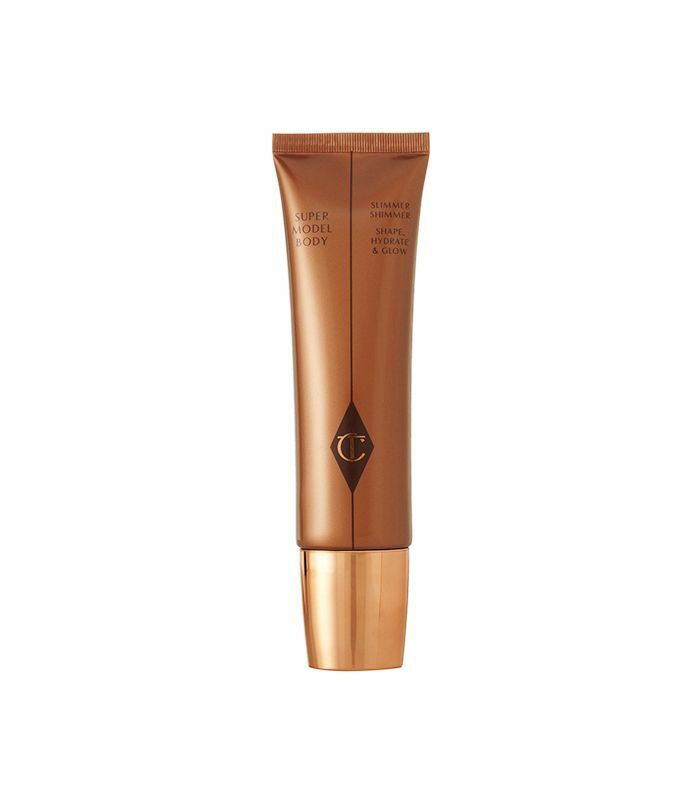 We've raved about Charlotte Tilbury's makeup line before, covering everything from its long-lasting Magic Foundation to its Magic Revolution Lipstick. Now it's time to add this product to the list. It goes on like a lotion, giving an instant illuminating lift to legs that makes them appear decidedly supermodel-esque while special ingredients like menthol and wild shiitake extract tone and firm skin. If you're looking for leg makeup to wear at the beach, then you've found your match with Westmore Beauty's Body Coverage Perfector. This cream concealer is safe to swim in, working as both an illuminator and foundation for the legs. (Hint: This also means it's sweat-proof, a must during the summer, even if you're not beach-bound.) Evening out discoloration and covering everything from veins to blemishes is made easier with this product designed specifically for the body. Just apply with your fingers, blend with a makeup sponge, and wait two to three minutes before getting dressed and heading out the door. 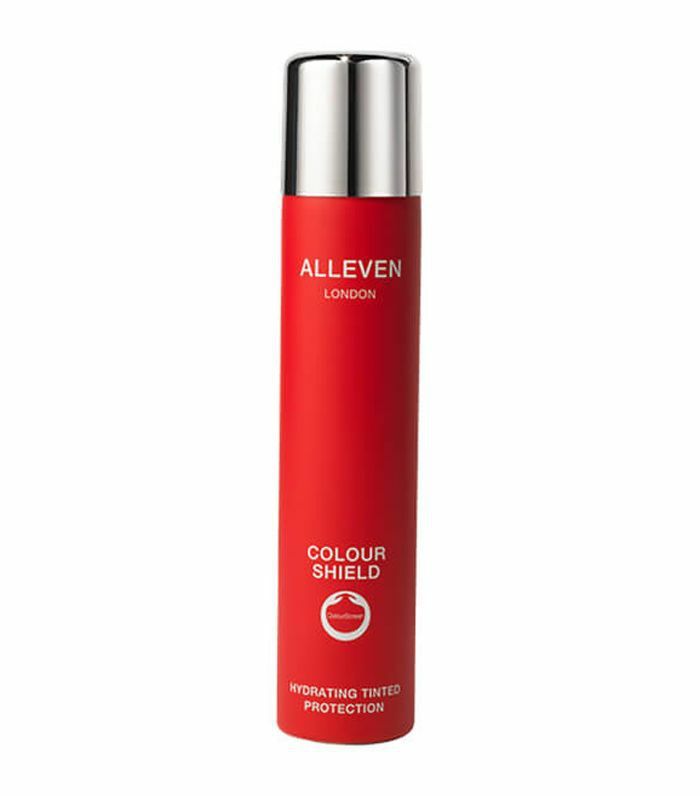 You won't find leg makeup fancier than Alleven's: a waterproof concealer that comes in mist form and leaves a velvety matte finish. Better yet, the high-tech formula contains Coralline red algae and a melanin-activating peptide to defend against UV damage and combat the signs of aging. 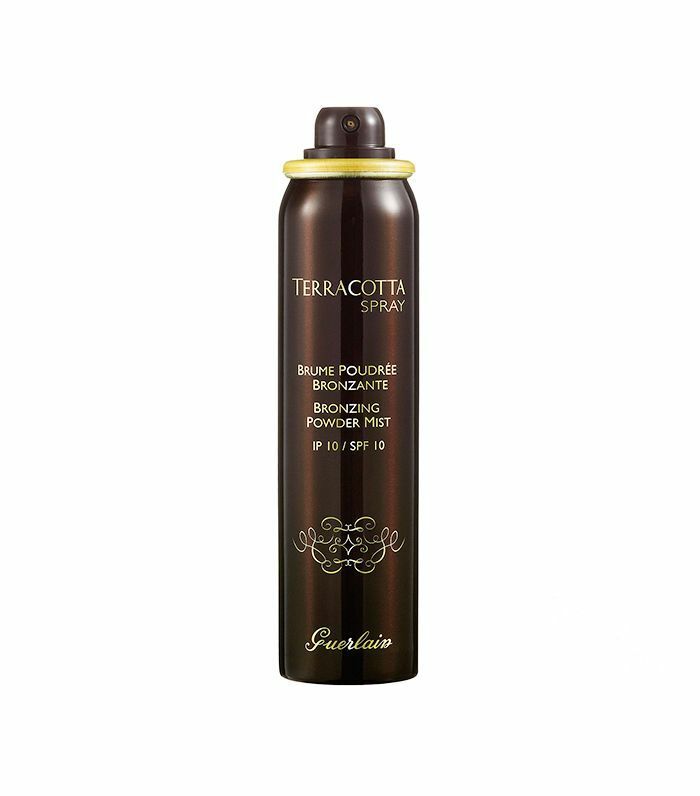 This quick-drying temporary tanning product adjusts to your skin tone for a custom glow. It's infused with vitamins B, C, and E, plus aloe vera and caffeine to hydrate the skin, blur imperfections, and reduce the appearance of spider veins and cellulite. Up next, explore our picks for the very best drugstore self-tanners.